UNCONFIRMED: Free Bagel Mondays | Mission Dist. There are a lot of kind-hearted folks in this city by the bay, but Danny Gabriner of Sour Flour is in the pantheon of kind folks. EVENT WARNING – According to the SF Examiner on July 19, 2018, La Victoria has been served an eviction notice and told they must vacate their building in August 2018. So before heading out, we recommend contacting La Victora first or check their Yelp page for updates on the status. Every Monday, he bakes and then gives away hundreds of free bagels on 24th and Alabama Street. 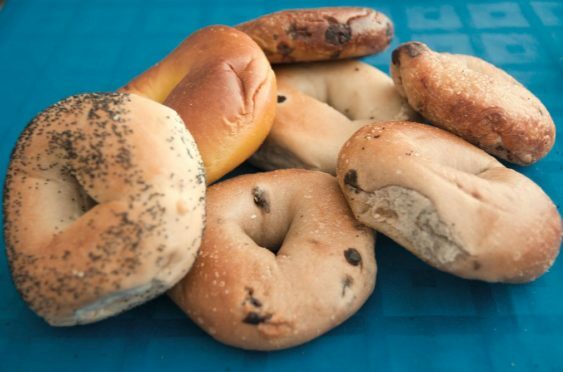 Tasty and fresh, free handmade, boiled bagels are available to the public beginning around 8 am until they run out.